European soccer fans had only one talking point this morning after last night’s Champions League matches drew to a close. The unfair red card of soccer superstar Cristiano Ronaldo and his overblown reaction to it. 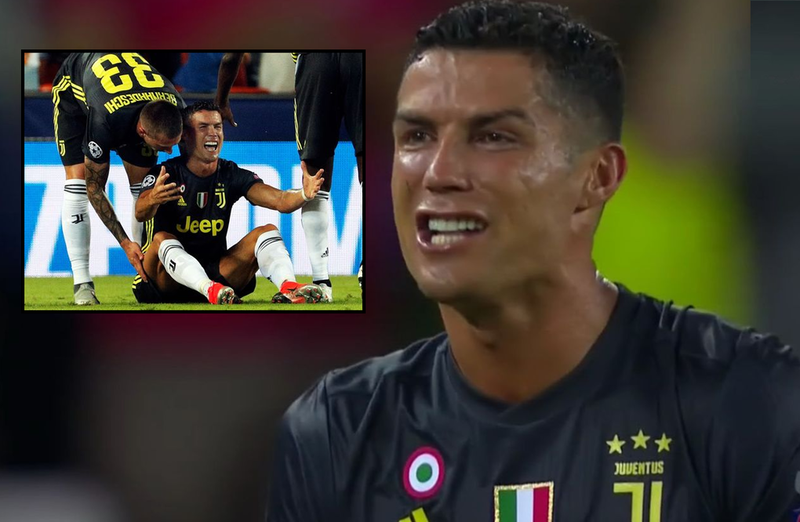 The Portuguese soccer star could be seen in tears as he was forced to leave the pitch after only half an hour of play in Juventus’s away match at Valencia. We must admit that after seeing the reason why Ronaldo was sent off his reaction is understandable, but given that Juventus was able to win the match 0-2 with 10 men even against Valencia at full strength, there will probably not be a UEFA suspension for him after they look at the footage. Cristiano Ronaldo makes a run for the box after half an hour followed by his assigned Valencia defender Morillo. As the latter feels Ronaldo in his back, he tentatively goes down in the penalty area, claiming the Portuguese striker fouled him. The referee does not whistle and Ronaldo comically makes a move with his hand as if he’s gonna pull Morillo up from his hair. Given the angle that the linesman is seeing this from, he now does claim a foul, this time by the Portuguese soccer star. The referee talks to the linesman and, to the surprise of anyone watching, pulls out a red card. Ronaldo reacts in bitter tears as he knows this means he will normally be suspended for 2 games and thus might miss his next match, the long-awaited game away at Manchester United, the team that he grew up at and really wanted to play once again. It was Ronaldo's first red card in 154 Champions League games. Soccer fans around the world are waiting to see what happens next. So in the end, Cristiano got a red card, what do you think guys? Did he deserve it? Let us know in the comments below what you think about it. 100% free speech, 100% anonymous. COMPLETE AND TOTAL CRAP… THEY NEED TO STICK THAT RED CARD WHERE THE SUN DONT SHINE!!! ANYONE CAN SEE ITS A TOTAL HOAX!!! HE BETTER NOT GET SUSPENSION, ITS BULL!!! Agreed, wasn't red at all. Crazy that they sent him off. Funny to see him cry like that though.